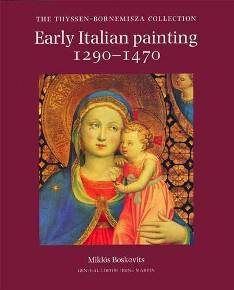 25/12/11 - Obituary - One of the world’s greatest connoisseurs of Italian Medieval and Renaissance painting, Miklos Boskovits, passed away in Florence last 19 December. Born in Budapest in 1935, Boskovitz soon chose to interest himself in Italian Primitives, a domain considered suspicious by the Communist regime then in place. Rather than changing his field of study or reconsidering his ambitions, the art historian crossed the Iron Curtain in 1968 to settle in Italy. With the intellectual and also financial backing of Carlo Volpe at the beginning of his career in that country, he was successively a professor at Cosenza, at the Catholic University in Milan and finally, in Florence. The Tuscan capital became the privileged center of his research work, in every sense of the term. Geographically, Boskovits occupied a small, office hidden away at the heart of the city’s most important specialized library, the Kunsthistorisches Institut. This is where he wrote countless articles, notably on "Florentine Painting before the Early Renaissance", the title of one of his most famous works published in 1975. It was also there he wrote thee catalogues raisonnés which are still the leading reference, covering leading collections, both private and public. Finally, it was there that one went for his precious advice, always offered to either colleagues or students alike in the most simple of manners. In fact, Boskovits was never really alone in his office, where devoted collaborators could be found working all day, and no doubt sometimes part of the night, their ranks renewed with each generation. In a perfectly symbolic way, Boskovits’ greatest contribution will have been a collective one : in 1984, he took over as head of the publishing project, the Corpus of Florentine Paintings started by Richard Offner fifty years earlier, with the gargantuan goal of cataloging all known Florentine paintings since the beginning. As was the case for Offner, Boskovits never managed to conclude a task which will remain an eternal work in progress - let us hope that it will be continued by someone else now. It would be easy to reduce the figure of Miklos Boskovits to that of a "simple" connoisseur, when in fact his studies on certain cultural aspects of the Renaissance - notably in the domain of devotion - deserve our greatest attention. It is also true, that in terms of attributions, Boskovits proved to be more than an excellent art historian ; he possessed an exceptional eye for art, and knew how to look at it in a different way. As compared to legendary figures such as Bernard Berenson, Roberto Longhi or Federico Zeri, Boskovits embodied another style, less flamboyant but just as necessary. The indispensable exhaustivity of the Corpus project led him to major discoveries in sometimes abandoned fields, as in the case of paintings from the late Trecento which popular taste, this subconscious motor which drives the interest of art historians, tended to disapprove. Boskovits did not just content himself with reconstituting the artistic itinerary of the "little masters" of the period, these “Miklos Masters”, he also turned his attention to the "great" ones with the same minute attention, allowing him to confidently put forth suggestions which critics would take some time in accepting. Some of his choices, true, were surprising at first glance, given the fact that these paintings by major artists, from Giotto to Fra Angelico, at times revealed unflattering aspects. The reason however, was that this aspect was often due to a misfortune of time resulting in repainted or missing areas of the canvas, and that behind these, one did indeed glimpse the hand of the master : the conviction then followed, not as a mystical revelation but with the force of patient certitude. We of course cannot help but think at this time of the death of another eminent figure, Luciano Bellosi, last April. Although both historians worked on the same subjects, particularly on questions of attributions and dating, their way of thinking was radically different, both in their methods and their publications. Yet, there is no doubt that Bellosi’s polemical intuitions needed the meticulous work of Boskovits, who in turn, used the inspired flashes of his colleague, but also friend, throughout a lifetime of crossing paths daily, more than in official encounters, among the book stacks and photography files of the Kunsthistorisches Institut. Many will find that life at the "Kunst" will never be the same without the discreet and essential presence of these two "Dioscuri", as Andrea De Marchi, who was Bellosi’s student in Sienna and Boskovits’ successor in Florence, baptized them. However, their writings or simple opinions penciled in on the margins of an endless number of black and white photographs, will be consulted there for many, many years to come, not as illegible hieroglyphs of the past left by forgotten scholars but as valuable observations for formulating art history today.